As we move to net-zero future, we were proud to honor Kilroy Realty for their bold commitment and leadership to a fully carbon-neutral building portfolio of over 14 million square feet by the end of 2020 through increasing onsite energy reductions, expanding onsite solar and battery installations, and offsite renewable energy capacity. 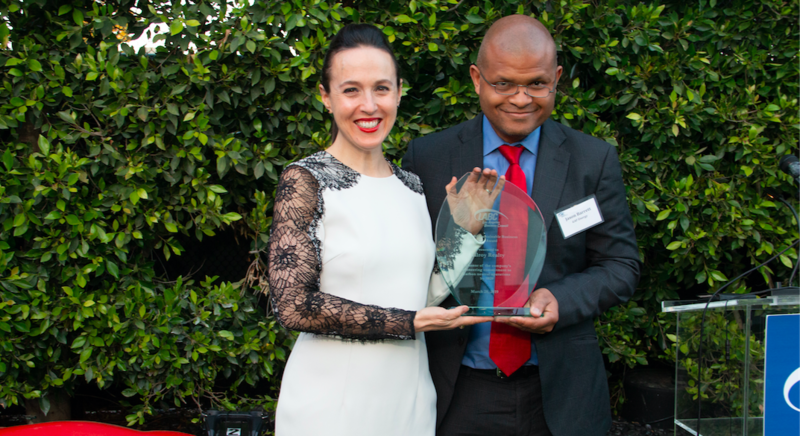 Sara Neff, Senior Vice President, Sustainability at Kilroy Realty Corporation accepts the LABC Sustainable Business Award from Jason Barrett, Vice President of GAF at the home of LABC Founding and Vice Chair, Richard Ziman as part of the 2019 Sustainability Summit. 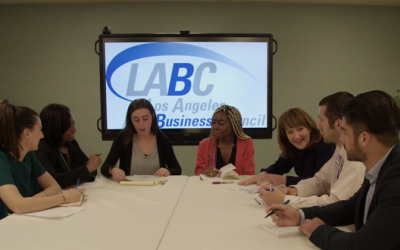 Last summer, the LABC hosted the “Back to Business Breakfast” featuring California Energy Commissioner Andrew McAllister to discuss the Commission’s new residential solar rooftop mandate and net-zero-carbon goal. 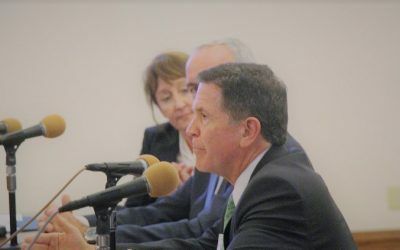 We invited California Energy Commissioner Andrew McAllister to sit down with forty real estate developers, contractors, and clean energy specialists to discuss the CEC’s update of the state 2019 Building Energy Efficiency Standards to mandate solar for residential buildings fewer than three stories. Commissioner McAllister explained that updating the standards will help California achieve its renewable energy goals, while lowering homeowner’s energy bills. The Commissioner also provided insight on the CEC’s future focus on addressing the footprint of larger multifamily and commercial buildings through the creation of a net-zero carbon goal as part of the 2022 update. Following his presentation, the Commissioner addressed audience questions around community solar, matching local and state energy benchmarking efforts, and how to incentivize building owners to invest in making their buildings more energy efficient and sustainable. 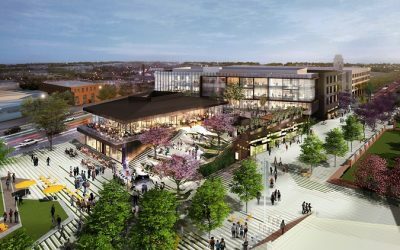 The LABC will look to be an active and early participant in the 2022 update focused on larger multifamily and commercial buildings and will partner with HOK Architecture this summer to host another workshop on designing for net zero.